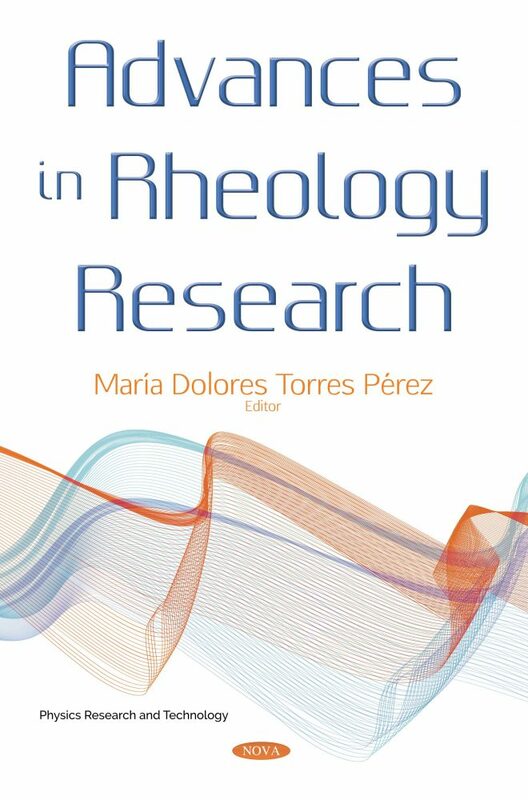 Advances in Rheology Research has been divided into fourteen chapters. The renowned authors of this volume discuss current advances in rheology research for different application fields, covering theoretical and experimental scientific contributions. The fourteen chapters include discussions on a wide range of outstanding rheological issues such as rheology and 3D printing; rheological characterization of injection grouts using rotational rheometry; analysis of rheological properties of 100% liquid CO2 based gel fracturing fluid; rheology applied to food product design; miscibility and viscoelastic properties of poly(styrene-co-acrylonitrile) blends; rheology of honey; unusual nonlinear rheological behavior of branched polymers: multiple overshoots in stress growth, experiments and theory; viscosity and viscoelasticity of baby foods; rheology as an instrument for food development; using the Laplace transform in rheology kinetic modeling; design of vibration absorbers using the rheological properties of viscoelastic materials; a viscoelastic fluid due to a non-linear accelerating elastic sheet; an MHD boundary layer viscoelastic fluid flow over a stretching sheet in a porous medium; and thermal radiation effect on fully developed laminar mixed convection flow in a vertical porous stratum by using a differential transform method. All of the above chapters are intended to contribute the improvement understanding of the rheological characterization and performance in numerous application fields from the food to the non-food industries. The book is intended to contribute the improvement understanding of the rheological characterization and performance in numerous application fields from the food to the non-food industries. Then, people related to the rheology of materials, especially biopolymers could be interested in the book. Those researches who work on the viscoelastic properties of the materials, from food to non-food applications (biomedicine, pharmaceutical, automotive, among others).